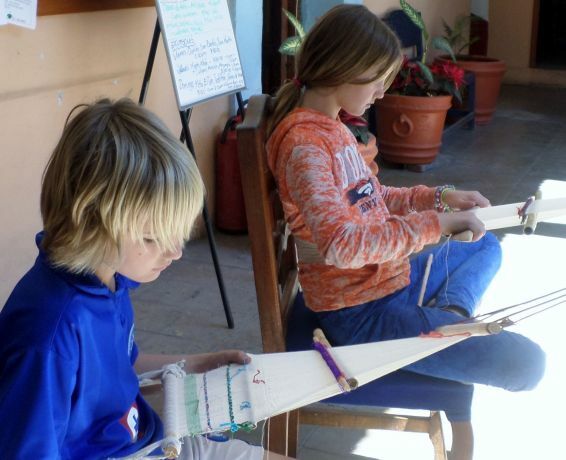 If you want to come to Oaxaca with your family, Becari offers Spanish courses for children. Three or four hours a day, divided into two sessions. Special materials and books, lots of activities, e.g. making a “piñata”, visits to museums, markets and parks, games, songs, folkloric dances. Five children maximum in each group. The first part of the classes they will work on vocabulary, grammar, reading, speaking in a very communicative way. The second part of the class could last one or two hours: they will do either a song, a video, a visit, a workshop, etc. Depending on the time of the year and the number of children enrolled, children will be able to visit a regular Oaxaca school with their teacher. Prices are the same for adults and children. The Sacramento Bee newspaper published an article discussing our children’s classes. Contact the author, Janet Fullwood at jfullwood@sacbee.com if you would like a copy.